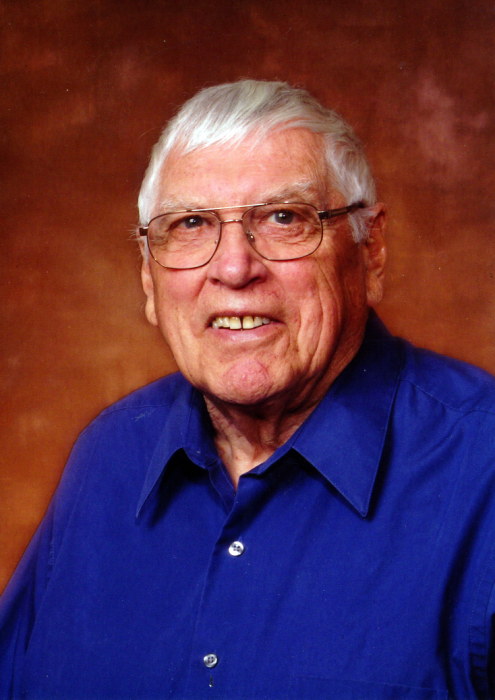 Obituary for Richard Donald Harline | Price Funeral Chapel, Inc.
Richard started his life on a Monday in Salt Lake City, Utah. He passed away peacefully in his sleep on a bright and beautiful Friday morning in Rocklin, California. He had been longing to join his beloved Mary Lou for many years since her passing in 2005. He is now with family and friends with our Heavenly Father and Jesus Christ. The list of his descendants is too long to include here… His wife of 59 years, Mary Lou Coombs Harline, passed away in 2005. Together, they had 9 children. Their first child, Rae, passed away in 1965, and their second child, Brent, passed away in 1992. He was one of 8 siblings, survived only by his youngest sister, JoAn Harline Lyman. He is survived by his children (and spouses) Laura Beth Parkinson (Dilworth), Marta Price (Curtis), Matt (Tricia), Kirk (Kathy), Scott (Karyn), Hugh (Lisa), and Roy (Estella). Richard and Mary Lou had 35 grandchildren, and currently 52 great grandchildren, which seems to increase every year. Funeral Services will be held at 2:00PM on Friday, March 22, 2019 at The Church of Jesus Christ of Latter-day Saints building at 1240 Junction Blvd, Roseville, California. Flowers can be sent to Price Funeral Chapel, 6335 Sunrise Blvd, Citrus Heights, CA. Donations are requested to Humanitarian Relief Fund of the Church of Jesus Christ of Latter-day Saints. https://www.ldsphilanthropies.org/humanitarian-services/funds/humanitarian-general-fund. A graveside service will be held at 1 pm on Saturday March 30 at Elysian Burial Gardens, 1075 E 4580 S, Millcreek, Utah. PRICE FUNERAL CHAPEL (916-725-2109), directors.